The Prayer Before a Crucifix is a beautiful prayer to pray. There is a plenary indulgence attached to it on Fridays during Lent if, after receiving Holy Communion, it is prayed devoutly before an image of Jesus crucified. A partial indulgence is attached to this prayer when it is prayed on other days of the year. 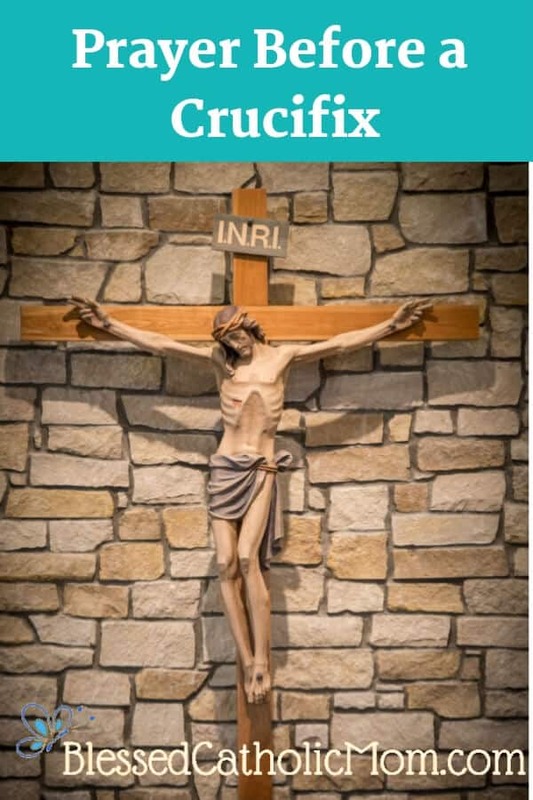 If you want more information about indulgences and this prayer, you can go to the devotions page of the Knight’s of Columbus’s website and scroll down to find the Prayer Before a Crucifix. Click the link for a pdf file you can read.